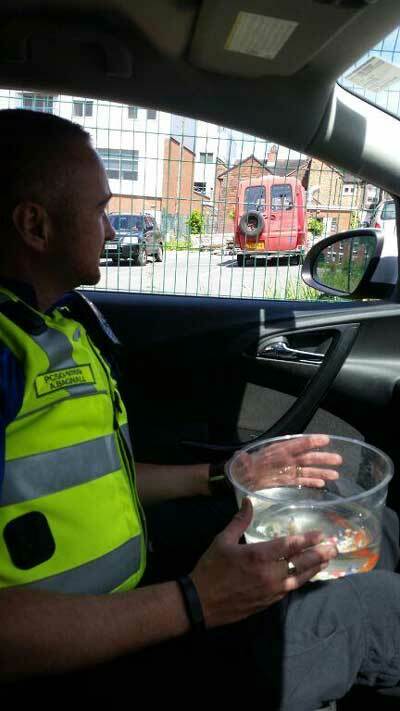 An officer rescued the fish from the vehicle of a man who had been arrested in the Hartshill area of Stoke the previous evening on suspicion of drink driving. Staffordshire Police spokesman Steven Crane-Jenkins said: "A man failed to stop for officers at around 5am on Tuesday morning. "He was later arrested on suspicion of drink driving. He left the fish in the car and police went back later to collect them. They were then returned to the station for safe keeping."